using the HIREBOX tests and appraisals! Deliver higher expectations to your clients. Get results fast and provide them to your clients. Call us, email us, chat with us. Easily create an unlimited number of companies and send the tests out using your customer’s brand. This allows you to represent your clients without confusing the applicants/employees. Recruiting for your customer? The applicant will see their name and information. Consulting their team? Make them think it is directly coming from management! Once you receive the results from the test taker, easily send them to your client directly from the platform. This allows you to write your findings and recommendations of the tests results with a PDF attachment. If needed, you can also send the test taker his results the same way. Why should you use Hirebox? According to a 2014 trends report from CEB, 62% of human resources professionals are using personality tests to vet candidates in the hiring process. By using a pre-employment assessment like ours, employee turnover rates dropped to only 12%, compared to 41% before using pre-employment tests according to the Wall Street Journal. HireBox’s tests and appraisals were created by Recruiters and Consultants totaling a combined 80 years of experience! Our tests are PROVEN to work, after the evaluation of over 25,000 candidates in over 30 different countries. The HireBox Platform is your perfect Quality Control tool for giving your hiring missions the best outcome. Based on our experience with the evaluation of more than 25,000 candidates in 30 different countries, our unique job-matching assessments and internal evaluations provide vital information about your future/potential/current employees. 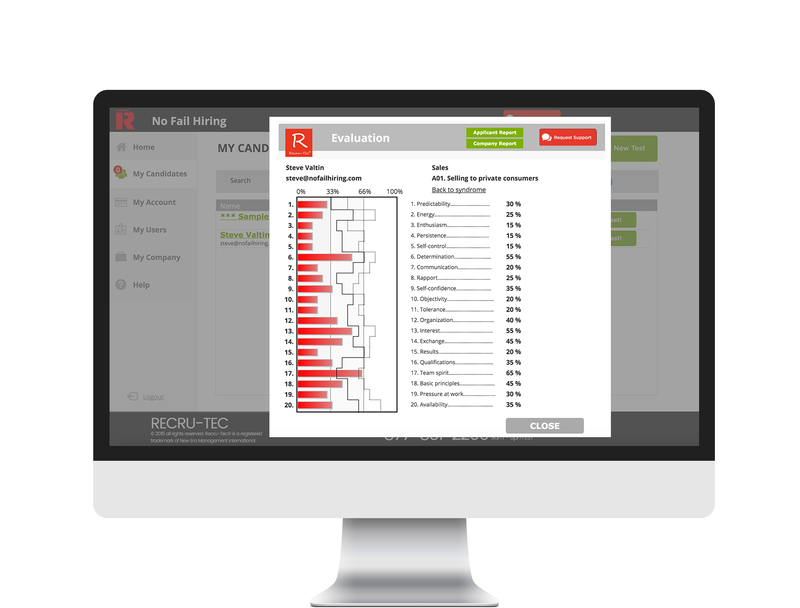 The Recru-Tec test is twice as precise as any existing psychometric test. We guarantee a 90% precision on every applicant. HireBox’s sister company is No-Fail Hiring, a recruitment process outsourcing company based in Clearwater, Florida. Our team of hiring consultants use the Recru-Tec test on all of their client’s applicants, with great results and praises from the clients. Check out some of success stories by going to our About Page. 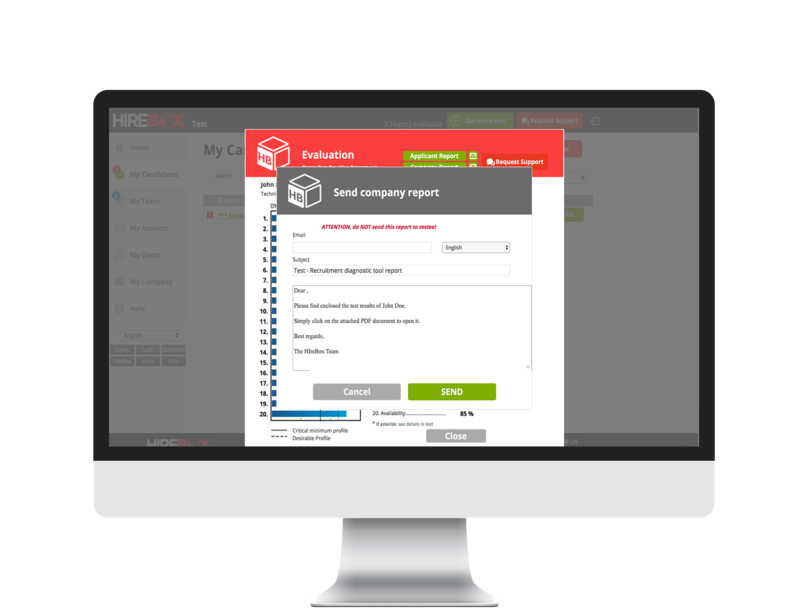 Find out how HireBox can help you expand your Recruitment or Consulting business.